Latin America historically has been plagued by political violence. “Revolution” has been defined as (often glorified) violence and the physical elimination of political opponents—as something intrinsically linked to our nature as Latin Americans. Few areas of the world have used the term “revolution” as much in their political discourse as we have collectively as a continent. The incarnation of this dark legend is Che Guevara, who openly proclaimed his vision of how to produce political change for Latin America on April 16, 1967, in his message to the Tricontinental Conference: “Hatred is the central element of our struggle! Hatred so violent that it propels a human being beyond his natural limitations, making him a violent, selective and cold-blooded killing machine”. The myth of going “From the Good Savage to the Good Revolutionary”, masterfully expressed by Venezuelan historian Carlos Rangel, reached its zenith with this imagery. But recent events in Latin America have shifted this paradigm. Despite its outcomes, nonviolent action has emerged as a prominent form of political struggle, with a pro-democracy movement in Venezuela and a movement in Nicaragua being the most recent cases. Other notable examples are the dissident movement in Cuba and its three winners of the Sakharov Prize of the European Parliament, and the recent peasant protests in Guatemala and Bolivia. What distinguished these nonviolent struggles is the ample participation of young people, who reject the traditional patterns of political struggle with their commitment to nonviolent discipline. This transformation in revolutionary mentality in Latin America is the result of a series of events that started almost 30 years ago, in June 1989. A labor union with more than 10 million members, armed with what Mahatma Gandhi defined as the “greatest force at the disposal of Mankind”—people power—hastened the collapse of the Communist empire. The union gathered around more than a name; under a concept of struggle: Solidarnosc (Solidarity). The guild, headed by Lech Walesa, forced the Polish government to hold the first fair and free elections in the country through the use of strategic nonviolent action, and practically erased the Communist Party by sweeping all of the freely contested seats in the Sejm (Parliament), and all except one seat in the entirely freely contested Senate. In doing so, Solidarnosc not only redefined the political scenery in Europe and elsewhere, but also the paradigms of power and political struggle in modern political history. Solidarnosc’s triumph showed in a clear and convincing way that nonviolent action—strategically articulated and based on “power in numbers” through thousands or, in this case, millions of people—is the ultimate expression of political power. And it also showed that authentic power resides in the capacity of human beings to come together and dispel oppressive circumstances. Although many notable episodes of nonviolent struggle preceded 1989, this model for positive change has been spreading quickly all over the world since that year. The domino effect generated by Solidarnosc brought about the fall of the Berlin Wall, the Velvet Revolution (Czechoslovakia) and transitions to democracy in Hungary, Bulgaria, Albania, Lithuania, Latvia, and Estonia (the Singing Revolution); the Orange Revolution (Ukraine); up to the Rose Revolution (Georgia). The term “Revolution” ceased being associated uniquely with bloody revolts that generally ended up with new dictatorships in power, and became a synonym of truly mass movements with poetic names, capable of paving the road to lasting democracies. This new paradigm is not circumscribed to a particular place and time. The Cedar Revolution in Lebanon, which expelled the Syrian occupation army from that country in 2005, the so-called Arab Spring, which brought down dictatorships in Egypt, Yemen, and Tunisia, and most recent cases like the Lwili Revolution in Burkina Faso, are truthful testimonies that there are no limitations to employing this technique. Any oppressed human group can employ nonviolent struggle, under any kind of circumstance and against any oppressive group, at any place and at any time. Technological advances and increasing connectivity and exchange of information in real time, have all decisively expanded nonviolent activists’ toolbox as well. Latin America is not exempt from this reality, in spite of all stereotypes that try to restrict and disqualify the development of strategic nonviolent action on our continent. In his book, Waging Nonviolent Struggle: 20th Century Practice and 21st Century Potential, the late renowned scholar Gene Sharp collected several success cases of nonviolent action in Latin America, such as the downfall of General Jorge Ubico in Guatemala (1944), and the Mothers of Plaza de Mayo in Argentina (1977-1983), and largely peaceful protests in Chile against the Pinochet regime (1985-1989), among others. Our own history, as well as trends in the modern world, have shown the viability of employing strategic nonviolent struggle. Latin America is “revolutionizing” the concept of revolution, recognizing the shortcomings of violent confrontation and exploring nonviolent struggle as the ideal tool to generate long-lasting changes in politics and society. It is possible, it is necessary, and it is imperative if we truly want to build a sustainable democratic future in Latin America. Featured image: Protester with wiphala taking part in a demonstration supporting the Bolivian social movements. Buenos Aires (Argentine), May 2005. Source: Wikipedia. 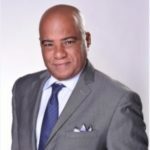 Omar Lopez is President of the Latin American Center for Nonviolence and Human Rights Director at the Cuban American National Foundation. He is also a radio talk show host with Radio Television Marti and regular media contributor.